Total peace of mind. 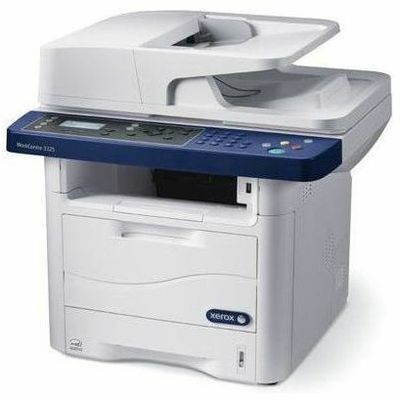 Outstanding Xerox Service and Support, with a standard one-year warranty. Your office optimized. 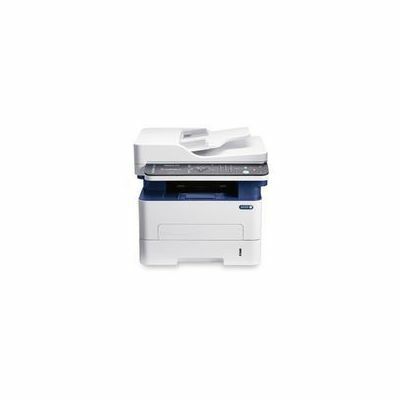 Run your office effectively and seamlessly with the WorkCentre 3215 monochrome multifunction printer, which combines print, copy, scan, fax and email functions in one space-saving device. Powerful results. With the 600 MHz processor and kanon 256 MB memory, the WorkCentre 3215 prints even the most complex jobs quickly and accurately. No down time. Reliable operation handles big print volumes with ease and keeps your business up and running no matter the workload. Solid performance. Backed by ease-of-use, the user-friendly front panel, with intuitive buttons and a two-line LCD display, make it easy to find your most-needed functions quickly. Save time. 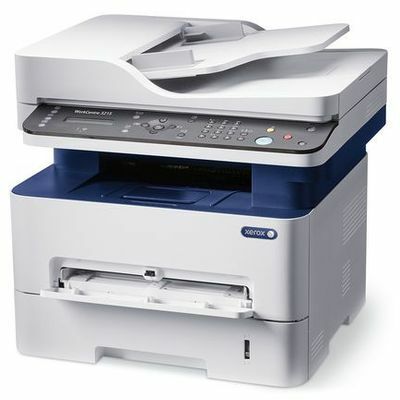 Copy and scan multiple-page documents with the 40-sheet Automatic Document Feeder. A variety of options. Comprehensive copy features include reduce/enlarge, auto background suppression, 3-level darkness control, collation, ID card copy and N-up layouts. Just the right fit. 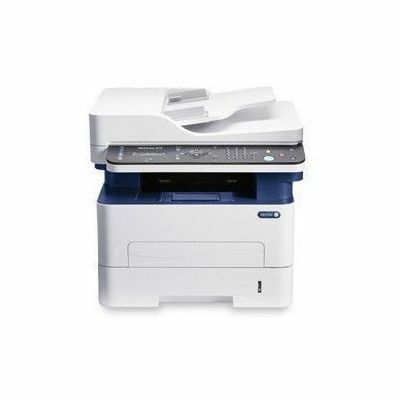 Designed for tight spaces, the WorkCentre 3215 multifunction printer also features quiet operation and built-in wireless networking for even greater office flexibility. Wi-Fi Direct. The WorkCentre 3215 can communicate with Wi-Fi enabled devices without needing an existing wireless network. 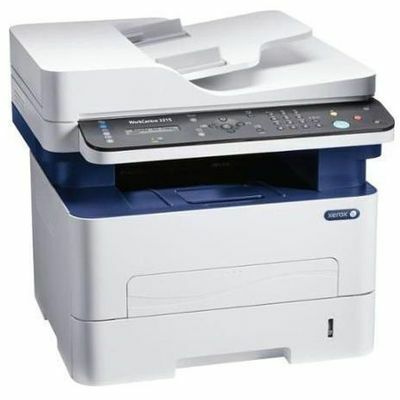 Wi-Fi Direct enables mobile phones, tablets and laptop computers to make a secure connection directly to the printer. Enhanced mobility. Print documents from your Apple® iPhone or iPad using the built-in support for Apple® AirPrint™. A seamless process. 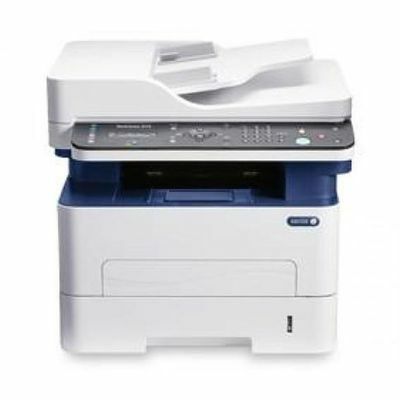 Color and black-and-white scanning quickly converts paper into electronic documents, ready to be saved to a network, desktop folder or inserted into an application. Scan to Email. Enables sending paper documents directly to email recipients from the front panel - no need to walk back and forth from the multifunction printer to your computer. Save time. The generous paper capacity of 250 sheets means you reload paper less often, and the 40-sheet Automatic Document Feeder means less time standing in front of the device. Save more than money. With Power Save and Toner Save modes, and the Earth Smart print driver, you can choose to spend less on electricity and consumables. Work done fast. With a print speed as fast as 27 ppm and first-page-out time as fast as 8.5 seconds, you’ll get work done quickly, letting you focus on business at hand. Visual impact. Printing at 4800 x 600 dpi enhanced image quality, together with PCL and PostScript emulations, ensures consistently clear text and sharp graphics.